How to Find Your Perfect Yoga Retreat? Yoga has been a form of stress-release for many people to take a break from their hectic and stressful lives. For some, practicing in their home studio is enough. For others, they crave for more than just the asana. They want the experience of total rejuvenation, letting go and even self-discovery. Yoga holidays might just be what you need to recharge yourself from a chaotic mess of assignments and deadlines. From budget travels to pure luxury escapes, these 3 yoga retreat websites are here to help you find your perfect yoga retreat. BookRetreats believes in helping people rejuvenate from their stressful lives through yoga retreats. Since people work too hard sometimes, BookRetreats wants to simplify the process of finding the perfect yoga retreat just for people to relax, unplug and find themselves again or even learn more about themselves. In order for you to search for your ideal yoga retreat, the yogi founders root their business to a set of core values to ensure that you are guaranteed a seamless booking process till the end of your yoga retreat. Since they have countless yoga retreats and teacher training to offer all year round, their intricate filter function makes it extra easy to narrow down options from a diversity of choices all over the world. You also have the option to pick out destinations for your yoga retreat based on your desired environs. On BookRetreats, you may find a 3 Day yoga retreat in Hua Hin, Thailand, starting at USD 55 and a 3 Day yoga teacher training in Koh Phangan, Thailand, starting at USD 150. With these 3 yoga retreats websites providing a whole universe of yoga retreats and teacher training, you will definitely find the perfect one for you in no time. You’re just a click away from your long-awaited yoga holiday! Created and managed by a community of dedicated yogis and yoginis, Yovada is a booking platform that offers a diversity of activities for the global wellness, spa and yoga travel market. It is a one-stop service centre for people who are looking for yoga teacher training, yoga retreats, wellness holidays, spa holidays, yoga with adventure holidays, Ayurveda holidays and surfing holidays. Yovada makes it easy and effortless to find, compare and book your perfect wellness and yoga activities worldwide whether it is a dynamic vinyasa class or a soothing meditation class of your choice. It also displays a wide range of activities from Yoga Alliance accredited teacher training programmes to yoga retreats and even holiday retreats. Having plenty of yoga retreats from all over the world in only trusted yoga centres on Yovada all year round, you may select the retreat that is the most suitable for you. Yovada takes great pride in their live availability through their direct booking, instant update on retreat rates, free cancellation policy and their impeccable customer service. On Yovada, you may find a 7 Day yoga retreat in Bali, Indonesia, starting at USD142 and a 3 Day yoga teacher training in Bali, Indonesia, starting at USD 387. Advocating finding inner happiness and personal growth, BookYogaRetreats provides a convenient platform that enables anyone to swiftly find their ideal yoga retreat or teacher training amongst a great selection of courses to choose from. Powered by Tripaneer, BookYogaRetreats aims to help people create a memorable life with more meaning and happiness through the yoga travel experience. BookYogaRetreats currently offers 7019 yoga retreats, yoga holidays and yoga teacher training and hopes to enhance your individual development and help you find your inner well-being with their buffet of courses. 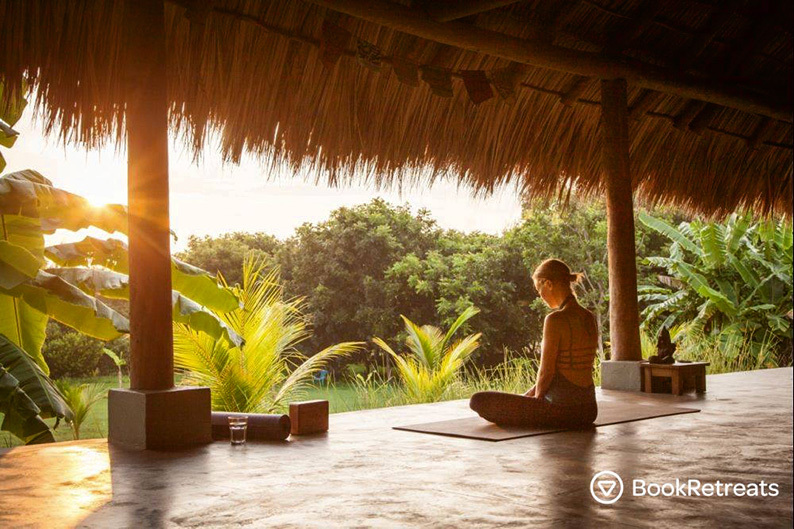 With numerous yoga packages in 251 destinations, BookYogaRetreats displays an array of activities throughout the year. They also have several categories in their filter function to help users narrow down their options and find the perfect yoga retreat they have been longing for. One filter function feature is the option to select the type of yoga style you want. On BookYogaRetreats, you may find a 4 Day yoga retreat in Bali, Indonesia, starting at USD 58 and a 4 Day yoga teacher training in Portugal starting at USD 12. Dawn used to be a competitive swimmer and was introduced to yoga due to a back injury. After searching for the source of her back injury for 4 years with several different doctors, she finally recovered with the help of yoga and physiotherapy which sparked her interest in the benefits of yoga. She completed her Ashtanga Vinyasa Yoga Teacher Training in Bali in December 2017 and is working towards setting up her own yoga business one day. She hopes to share the benefits of yoga with more people because of how it has helped her mentally, physically and spiritually. Just like a flame in the dark, she wants to be the source of hope for the needy.